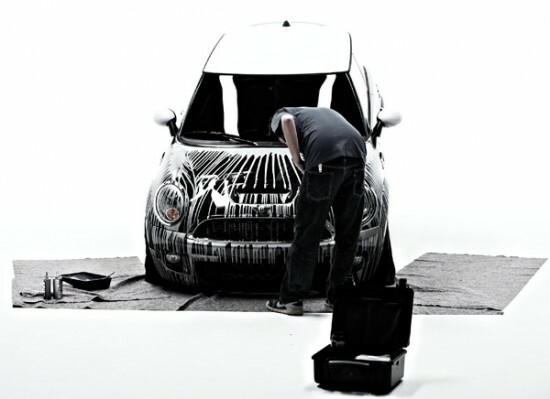 Legendary New York street artist Craig “KR” Costello customized a Mini Cooper S with his signature KRINK aesthetic. The car was shown today at Erste Liebe Bar in Hamburg, Germany. A vernissage takes place at Vicious Gallery on October 31st. See more photos at the gallery site and visit KRINK. I love his work, especially the original drip street art and this laptop sleeve.